Welcome to lash addict anonymous. My name is Sarah...and I am a false flutter junkie. 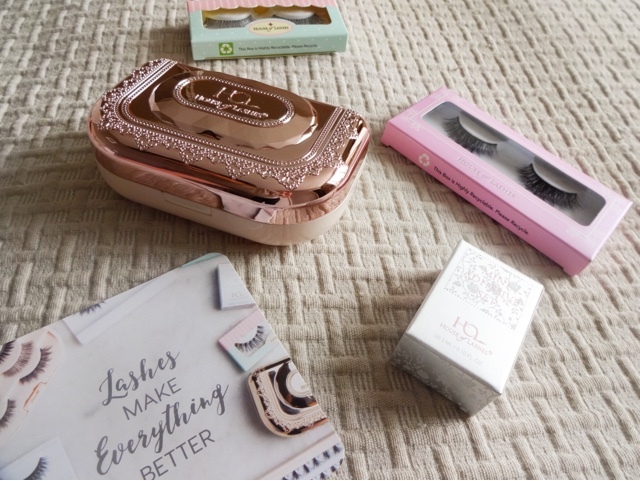 Nothing raises my spirits more than a good pair of lashes, so today I'm sharing the mini haul I did from specialists House of Lashes, all the way from the good old US of A.
I first clocked their wares on Instagram, where I fell deeply in love with this amazing lash storage case. I wanted it, I needed it, I had to have it! You know the feeling. Firstly, as House of Lashes are an American brand, I was expecting it either to be very hard to get hold of over here or to have some ridiculous shipping fee, so imagine my delight to find that international shipping is only 5 dollars. I mean, that's less than you pay on a lot of UK websites to get things sent, so what a brilliant discovery. When you sign up to the site, you also receive a 15% discount that covers the shipping cost as well. 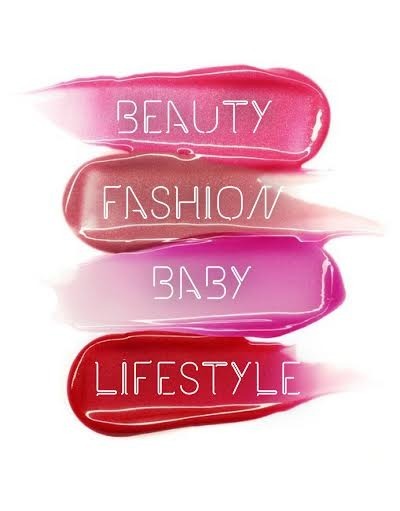 The lashes are beautifully presented and premium quality but the prices are reasonable, especially with the exchange rate, around the 10 dollar mark - although they also sell mink lashes which are a more expensive option. 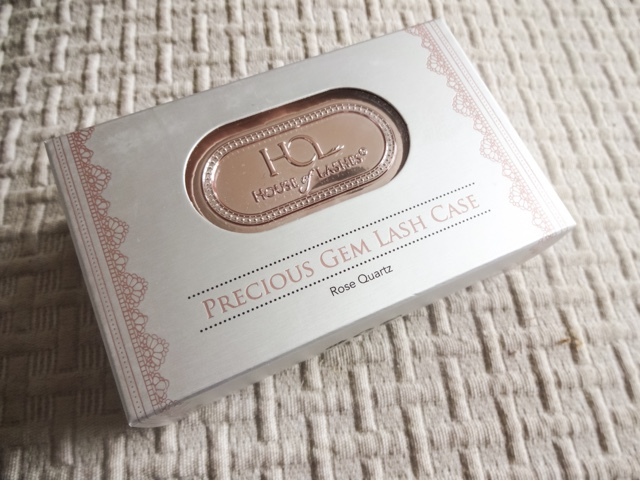 First up, the literal jewel in the crown - this is the Precious Gems Lash Case. For a lash addict like myself, there is no greater product. Reusing lashes is only possible if you take care of them, and that includes storing them properly. But finding a good eyelash storage case is surprisingly hard. It's actually quite strange that lash brands or don't seem to think about this as I'm sure a lot of people have this problem! 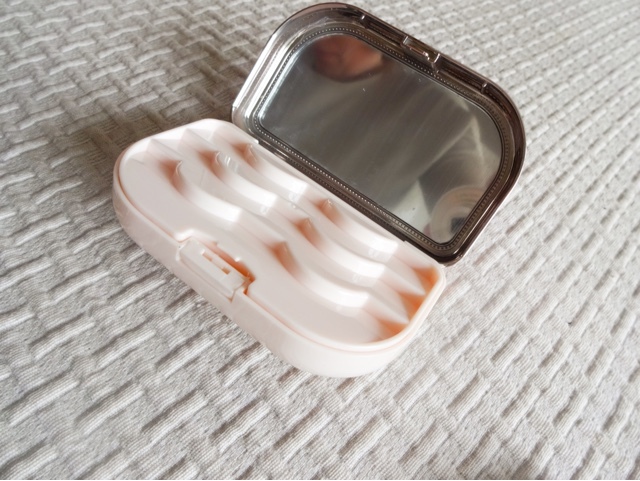 I normally end up keeping mine in a little contact lens kit, but the Precious Gems Lash Case is literally the Rolls Royce of lash storage options. It comes in three different colourways, Aquamarine, Champagne Gold and Rose Quartz, which is the one I chose. Look how beautiful! On opening the achingly pretty compact, you find a large, clear mirror in the lid, and then a top tray with moulded holders for three pairs of lashes. 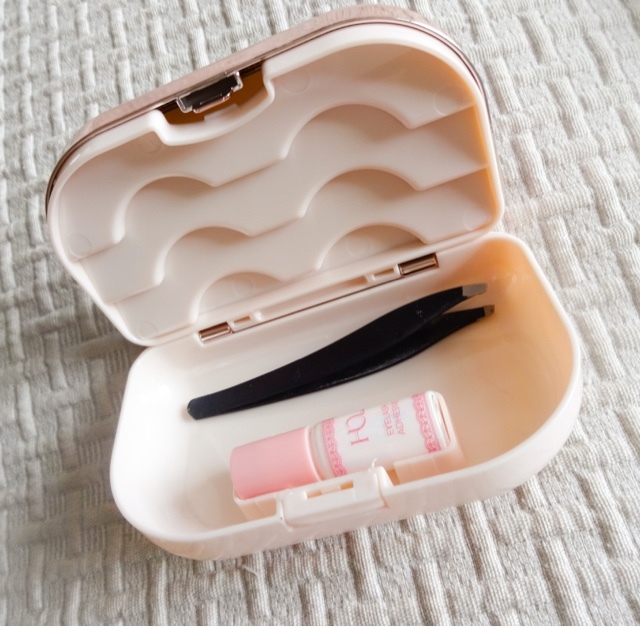 This flips up to reveal a compartment underneath with a glue holder and plenty of space for other items, like tweezers, contact lenses, a small mascara, a perfume sample, hair grips or even just more spare pairs of lashes! The compact features all these super pretty little embellishments on the lid. Its made of plastic so its lightweight for taking away with you, and its also solidly made with a secure closure. This baby will keep your lashes safe. Obviously it would look amazing on a dressing table as well. This really would make an amazing gift for anyone who is into their makeup, or a fantastic storage solution. It cost 15 dollars and I think it was so worth it, especially as I haven't seen many similar products and certainly none anywhere near as pretty. When I think how much money I must spend on lashes, it makes sense to have somewhere special to keep them! 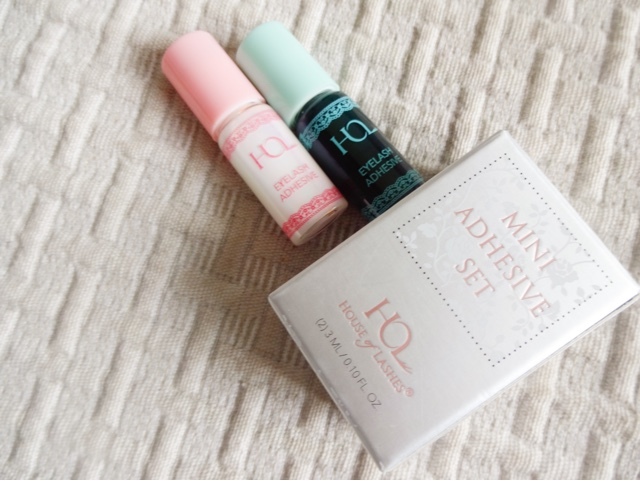 I also bought two of their Mini Lash Adhesives, because they fit into the holder in the storage case, although theres enough room to carry whichever glue you prefer in there. You get a 3ml tube each of white and black glue, and the little bottles feature a brush applicator which I really like. The glue formula is free of latex, formaldehyde and parabens so its even suitable for sensitive eyes and its also waterproof, which is great. The long-lasting formula dries clear or dark in the case of the black glue, is enriched with Vitamin E to care for your lashes and has a light floral scent rather than the horrible rubber scent of some lash glues. Its brilliant stuff. I tried two pairs of lashes from the range. First up, their Au Naturale style. 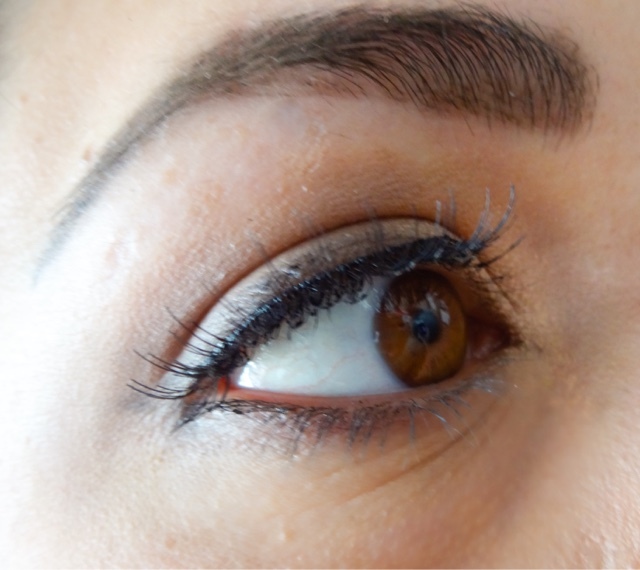 These are softer, effortless lashes ideal for daytime or for those who prefer a lighter look. They get the balance right, being full and long enough to give impact without being over the top. They give a 'my lashes but better' look to swerves the heavy glamour if that isn't your thing. What I especially liked was that the website shows you in detail what the lashes look like on models with different eye shapes, which I think is a brilliant touch. It really helps you to know which style to pick. There are also user photos displayed for even more help choosing. 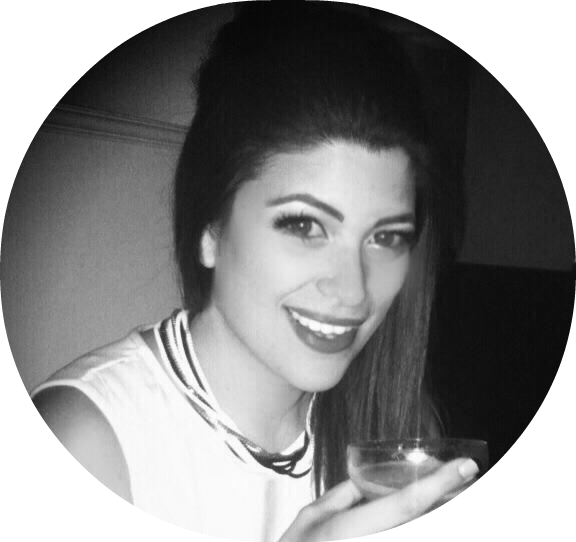 The Au Naturale lashes are made from 100 per cent sterilised human hair which gives a soft and tapered natural finish. I also wanted to try out something a little more daring, so I picked up their Boudoir style from the Premium Luxe collection as well. 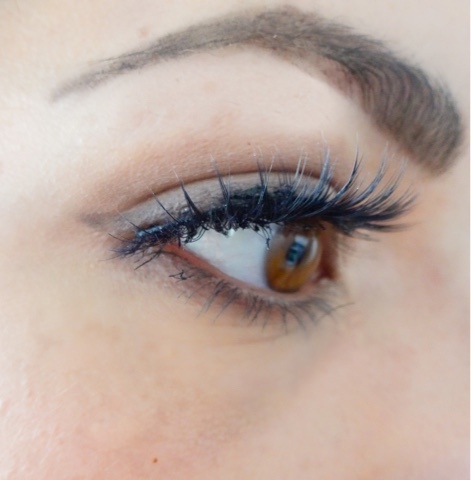 The lashes in this collection are more bold and give a dramatic, full appearance. They are also layered styles, with the lashes set as different heights on the band, which gives a gorgeous, fanned out appearance and these ones are made of synthetic fibres instead. 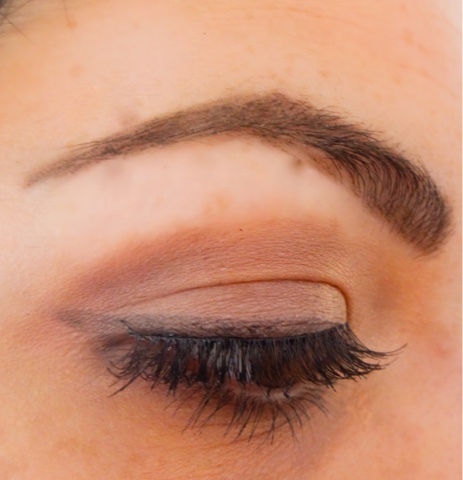 The Boudoir style are a thick, feathery cross hatched lash with a denser section in the centre. This emphasises the pupil and creates a bigger, round eye shape. The band is quite thick and dark too, giving an eyeliner effect which definitely makes these night time lashes to me! I'm so pleased with my order. The lashes are well made and super pretty, the glue is great and the lash case is my favourite beauty accessory ever. The shipping costs are so reasonable and the order only took a couple of weeks to arrive, which isnt so bad. Plus if you sign up to the newsletter you get a 10 per cent welcome discount. 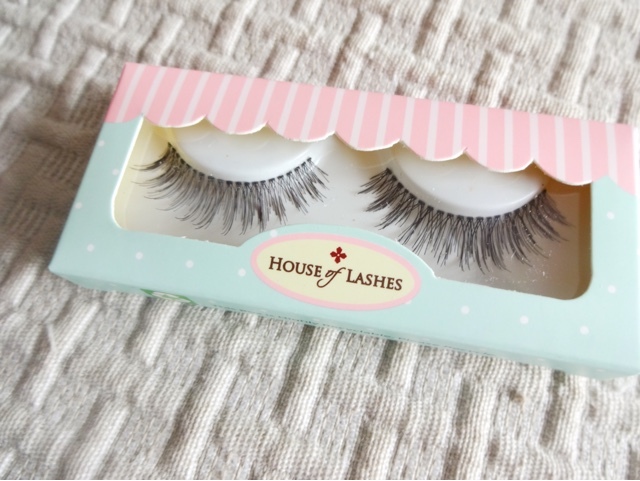 I would definitely order from House of Lashes again as the products are beautiful and international orders are hassle free.